The calculation is done based on the simplified approach that the linear cumulative damage (Palmgren-Miner) rule applies, and that fatigue strength is defined by the S-N curves. a closed form expression for fatigue damage can be derived. User is required to provide some basic fatigue inputs, create load cases and provide inputs specific to load cases. The application calculates the individual and cumulative fatigue damages and generates a detailed report too. Available only in SI Units. 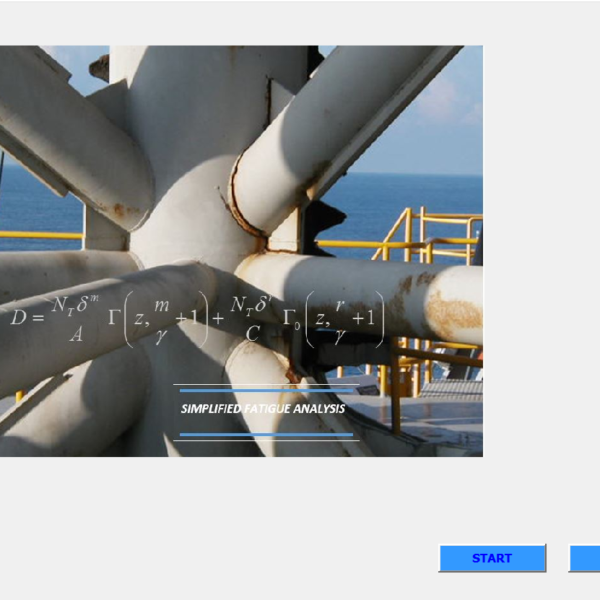 Please visit https://thenavalarch.com/software/oil-gas/og-1-simplified-fatigue-analysis-2-segment-s-n-curves-abs/ for more information.